StarCom leased Richard Childress Racing’s No. 27 charter in 2018 to run the No. 00 in all 36 points events. If it wants to run another full season again in ‘19, expect the team to lease a charter from somewhere else. Landon Cassill ran a majority of the races for StarCom, but there’s no word on if he’ll return. The team ran a second car on a part-time basis with a variety of drivers. It could do it again, or possibly acquire two charters and run two full-time entries. Kyle Larson will be in the No. 42 to start his sixth full-time season in the Cup Series. However, he’ll have a new teammate in the No. 1. Kurt Busch appears to be the favorite for the ride. Busch’s sponsor Monster Energy would come along as well. What about Jamie McMurray? He won’t be full-time anymore, but Ganassi has offered him a ride for the 61st running of the Daytona 500. It’s still unknown if he’s going to accept it. If he does, a third Ganassi car wouldn’t be guaranteed into the race because the team only has two charters. If more than 40 cars attempt to make the show, he’d likely have to finish well in his Duel race to make the 500. No major changes expected here. Brad Keselowski, Ryan Blaney, and Joey Logano will all return. Logano enters 2019 as the defending Cup champion. Austin Dillon will return to the No. 3, but he’ll have Danny Stockman as his crew chief. Dillon and Stockman won the 2011 Truck Series and 2013 Xfinity Series titles together. Now the question is if their previous successes can translate to the Cup level. Daniel Hemric will replace Ryan Newman in the No. 31. Luke Lambert will continue his role as the team’s crew chief and Hemric will be a Rookie of the Year contender. Expect RCR to get rid of one of its three charters. There’s no indication that the team will run three full-time cars. The No. 27 charter can’t be leased out again for another four years, though. Everything will remain relatively the same with Kevin Harvick, Aric Almirola, and Clint Bowyer. Hunt Brothers Pizza will come to the Cup Series to sponsor Harvick in an undetermined amount of races. The No. 41 car still needs a driver. Daniel Suarez is the frontrunner for the job, although nothing has been confirmed by the team. This car will need sponsorship. Haas Automation has been on it since 2014, but Monster Energy’s departure leaves the team in a current state of inadequate funding. Trevor Bayne and Matt Kenseth shared the No. 6 in 2018, but neither will return to Roush Fenway. Ryan Newman will become the full-time driver and Ricky Stenhouse Jr. will continue to be the No. 17’s driver. Scott Graves departed Joe Gibbs Racing in October and will be Newman’s crew chief. Brian Pattie will return to the No. 17 pit box for his third season. There are no major changes for Chase Elliott and Alex Bowman. However, Jimmie Johnson and William Byron will each have new crew chiefs. Johnson’s 17-year partnership with Chad Knaus came to an end after the season finale at Homestead-Miami Speedway. The pair won seven championships together but after a winless season, Hendrick felt it was time to separate the two. Kevin Meedering will become the new crew chief for Johnson. Meendering has been the crew chief for Elliott Sadler in the Xfinity Series the last few years at JR Motorsports, but he’ll be promoted to Cup. Knaus will be Byron’s crew chief and Darian Grubb will take a technical role at Hendrick. Johnson will have a new sponsor as well. Ally Financial will be on the No. 48 the next two years. Like Lowe’s, it’ll be on the car for every race. Partnerships like that hard to come by in today’s economic model, so kudos to Hendrick and Johnson for finding a full-time sponsor. Kyle Busch and Erik Jones won’t have any changes for the upcoming season. The only change for Denny Hamlin will be a new crew chief. Martin Truex Jr. and Cole Pearn will take over the No. 19 car. Furniture Row Racing ceased operations and Toyota Racing Development wanted to keep them in the fold. Suarez is the odd man out at JGR. Truex confirmed his deal with JGR is a multi-year agreement. Ty Dillon, Matt Borland, and Geico will all return. Dillon earned his first career top-10 at the Daytona July race earlier this year. Premium owns one charter and will likely use it for the No. 15 car again in ‘19. Ross Chastain is expected to run a majority of the races. The team also used a few other drivers throughout the year, including Reed Sorenson, D.J. Kennington and J.J. Yeley. Since Chastain will be racing for Ganassi in the full Xfinity season, the team will have to use a different driver when Cup and Xfinity race at different places on the same weekend. Paul Menard and Greg Erwin will both return for their second season with NASCAR’s oldest team. It will continue its alliance with Penske as well. The Wood Brothers don’t own a charter. The team formed a partnership with GoFas Racing before the 2018 season and used the No. 32 charter throughout the year, but it’s unknown if that coalition will carry into the new year. 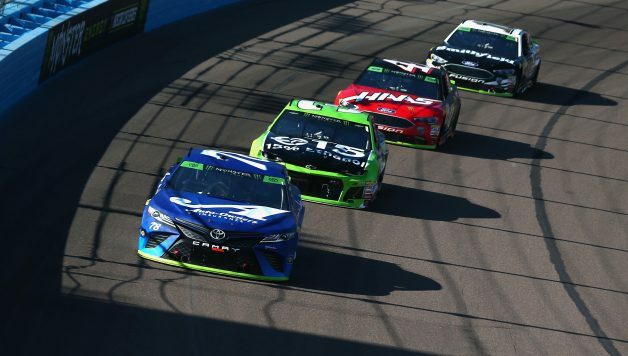 This team declared Chapter 11 bankruptcy before the season and was operated by a trustee until it was sold to Front Row Motorsports in August. BK sold Toyota cars and equipment to Obaika Racing and ran a Ford in a few of the final races of the year. The charter from this team could be used for Matt Tifft’s No. 36 car in ‘19. Matt DiBenedetto will depart GoFas and become the driver of Leavine Family Racing’s No. 95 Toyota. No word on a replacement driver yet. The team used Joe Falk’s No. 33 Circle Sport Racing charter throughout the season after letting the Wood Bros use the No. 32’s. It’s unknown if Falk will continue his partnership with GoFas. Michael McDowell and David Ragan will both return. Matt Tifft will embark on his rookie season in the No. 36 driving the team’s third car. Front Row owns four charters. It leased out the No. 38 charter to TriStar Motorsports in 2018 and the unnumbered charter to TriStar the year before. This team doesn’t appear ready to field four full-time cars so it’ll probably lease another charter out (would have to be the No. 23 or 34 charter) or sell a charter. Chris Buescher will return for his third season with the team and Ryan Preece will replace A.J. Allmendinger in the No. 47. Allmendinger’s career as a full-time Cup driver seems to be over and he could be racing sports cars in ‘19. JTG has used ECR Engines since 2014, but it will be supplied Hendrick engines next year. Darrell Wallace Jr. will return for his sophomore year in Cup. This team owns two charters but it must sell one of them. There’s no indication that Petty will run two full-time cars and it can’t lease out either charter. The team ran one full-time car and one part-time car in 2018. The No. 51 used one of Petty’s charters, but the lease agreement has ended. Multiple drivers competed for this team. Cody Ware said he thinks RWR will have two full-time cars next year in a story by The Racing Experts. Carl Long’s team intends to return to the Cup Series next year. The team plans on attempting the Daytona 500. Timmy Hill ran a majority of the races for MBM. Cole Whitt and Corey Lajoie split the seat time in the No. 72 car throughout the year. Whitt announced his retirement earlier this month so it wouldn’t be surprising if Lajoie became the full-time driver. TriStar has leased two charters from Front Row over the last two years. No word on if the team will lease another in 2019 or even run the full schedule again. Kasey Kahne was signed to run the No. 95 Chevrolet for the entire 2018 season, but was sidelined after Darlington because of dehydration problems. Regan Smith drove the car for the last 11 races. LFR will join forces with TRD and Matt DiBenedetto in 2019. Mike Wheeler will be the crew chief after three seasons atop Denny Hamlin’s pit box. 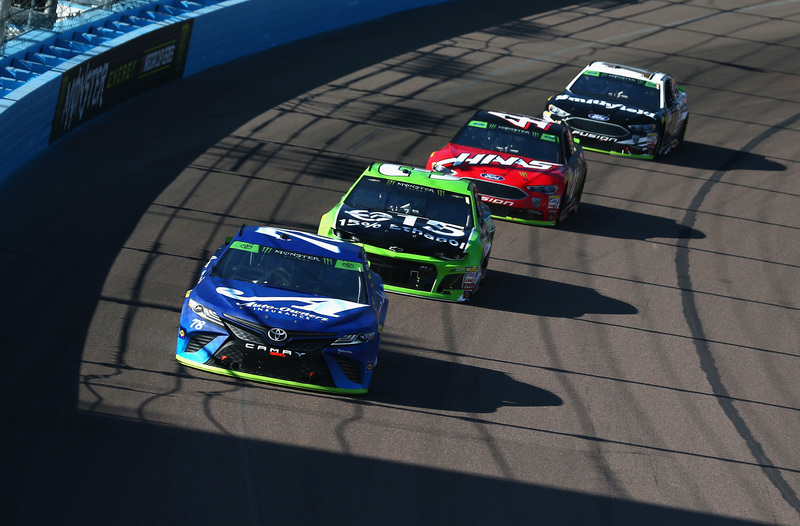 The team announced its intentions to run a partial schedule in ‘19 earlier this week. No word on a driver, crew chief, sponsor, or car number. It can’t use the No. 36 because Front Row is using it for Tifft. The No. 7 was used by Premium in a few races this year. Perhaps TBR will regain the number from Jay Robinson’s team? This team is owned by John Cohen, who used to field the No. 44 Xtreme Racing car a few years ago. However, 2015 legal issues kept him away from the track. In May, he entered the No. 7 at the Coca-Cola 600 with J.J. Yeley under the NY Racing Team banner. The following week, the team intended to race at Pocono Raceway but withdrew. Premium used a No. 7 instead for that race with Yeley. A few weeks later, the team formed a coalition with BK Racing. It lasted throughout the season. When Yeley was in the No. 23, the car often donned an NY Racing Team logo along with the BK Racing sticker under the front headlight decals. Not much more information is available about this organization. This team’s tenure in NASCAR is finished. The team will be selling equipment and must sell its charter. 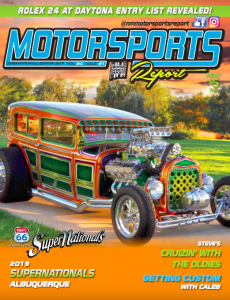 The SportsBusiness Journal reported the charter’s value to be in the $6 or 7 million range. Truex won the 2017 title and finished second in this year’s championship. The Gaunt Brothers ran the No. 96 Toyota on a part-time basis. Jeffrey Earnhardt ran the majority of the events while also using Parker Kligerman and D.J. Kennington periodically. 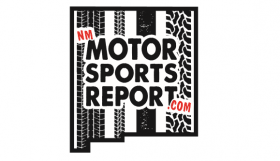 The New Mexico Motorsports Report asked team owner Marty Gaunt if he was interested in running a full-time schedule or acquiring a charter next year, and he said sponsorship would dictate the team’s plans. Obaika purchased equipment from BK Racing over the summer and attempted a few races late in the season. Tanner Berryhill drove the final two races of the Cup schedule after four years away from NASCAR competition. Victor Obaika has repeatedly said he’d be interested in a charter if he could get it for the right price. The team will likely run during the 2019 season. How many races? That’s yet to be determined.